These last several weeks have been very busy! As I have been taking buyers around to view homes, I have begun to notice a pattern that has solidified my views regarding the importance of curb appeal. I have been amazed at the striking correlation between curb appeal and the overall condition of a house. Just because someone is not a master gardener does not mean that they neglect the inside of their home. However, the outside condition of the home often does reflect greatly upon the inside. 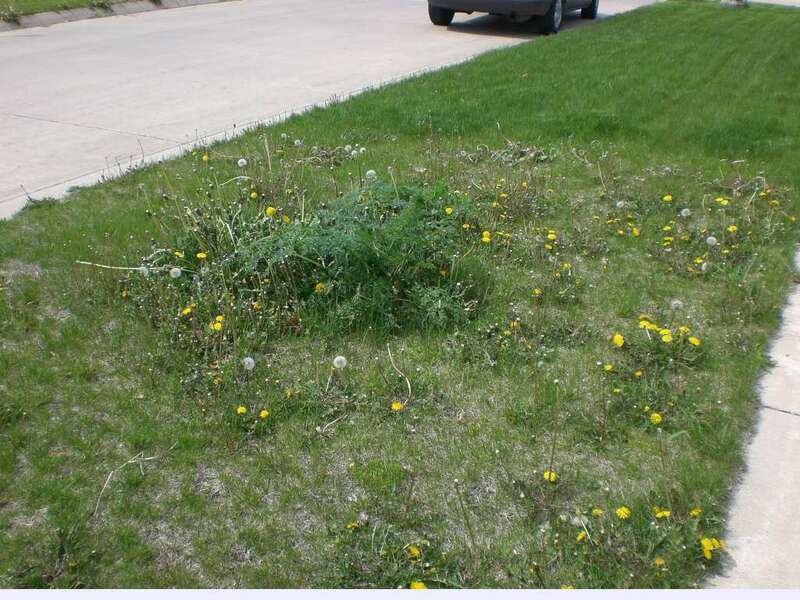 And just to be clear, I am not talking about extreme gardening; I am referring to doing just the bare minimum: applying weed preventer, watering, fertilizing, and mowing (or having a lawn-care service do the work). 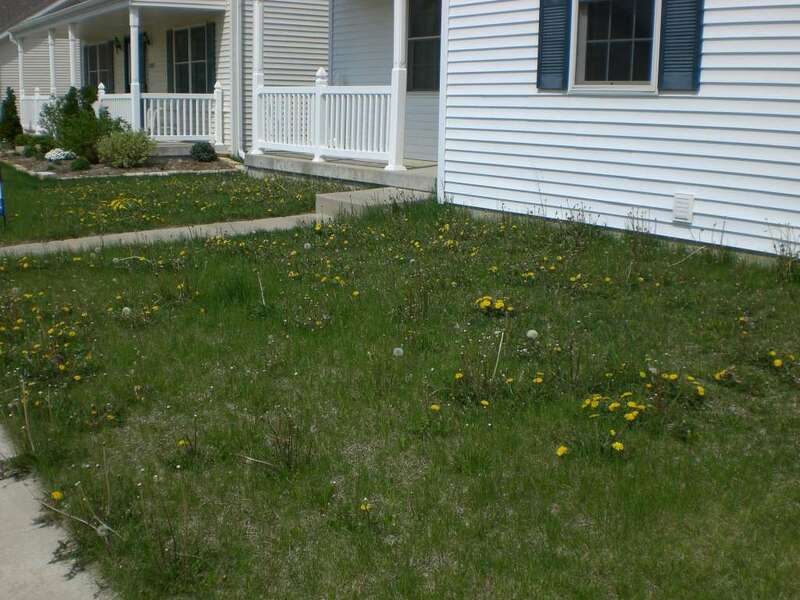 This lawn is in front of a house that is only 3 years old, emphasizing its neglect since day one. When my buyer and I entered the home, the carpet was very dirty, and the walls had stains, dings, and scratches all over them. A poor-quality lawn not only brings down the subject home’s property value, but also that of its neighbors. If the person next door to the subject property wants to sell his house, who would want to live next door to “slobs” or “tenants who don’t care” or “lazy people”? (actual quotes I’ve heard from clients). If you’re thinking about selling, and are wondering about the curb appeal of your home, let me use my experience to help your home appeal to the most buyers, and get you top dollar! Next Next post: What does a lot size of 72X70X99X45X26 even mean, and how large is it?